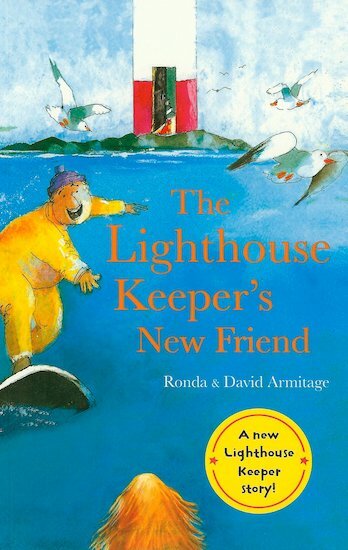 Your friend from the lighthouse is back, and he’s got a brand new buddy. Read-alone bliss: can you spot all the hidden details in the colour pictures? Mr Grinling likes to look for mermaids on his days off. But the golden-haired creature he spots on a rock isn’t quite what he expected. It’s a great big floppy dog! Mr Grinling takes his new pet home, and they’re all set to be the best of friends. But not everyone is quite so thrilled about it – especially Hamish the cat! I liked the part when the dog’s owner is found and they decide to share the dog.